A few years back, I traveled to the French Alps to visit a dear friend. It was the first time I visited the French Mountains, and the first time I was spending any real time with her man. A few days in, post dinner, he took out a bottle of Chartreuse, a common after dinner drink in France. "Enjoy it straight, on ice," he said. I tried, I really did, but with its intense green colour, earthy tones and potent flavour, I knew I wasn't going to be able to drink it straight (sorry Matt). I returned home from that trip with my own bottle of Chartreuse, determined to develop a pallete for it. Three years later, I'm still working my way through the bottle, tucking it into cocktails whenever I can, and if I'm feeling bold, sipping on a small glass post dinner. When I decided to join in on #drinkthesummer, I immediately knew my drink had to have chartreuse as the base. 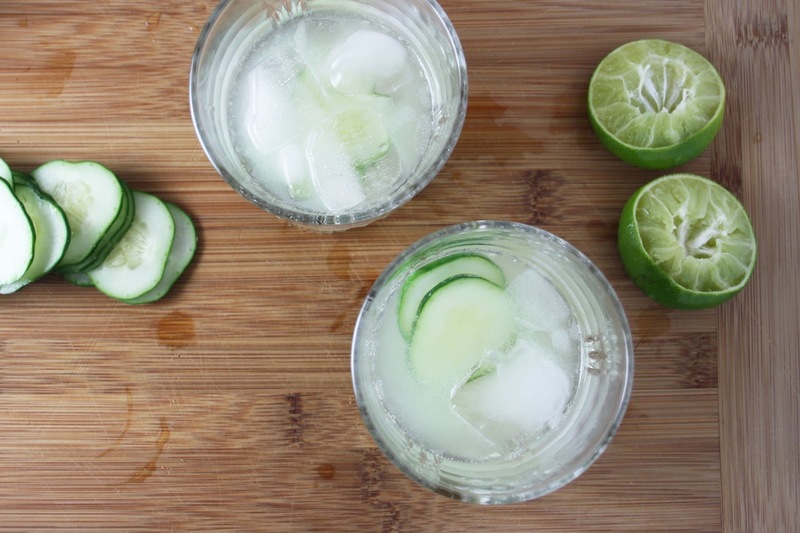 From there, I added some puréed summer cucumbers (they're looking so fine at the market right now), and some gin (because cucumber + gin, always). Then a little lime and simple syrup to round off the flavours. Be sure to check out all the fabulous blogs taking part in this year's #drinkthesummer, and mega shout-out to Sherrie for organizing such a fun party! 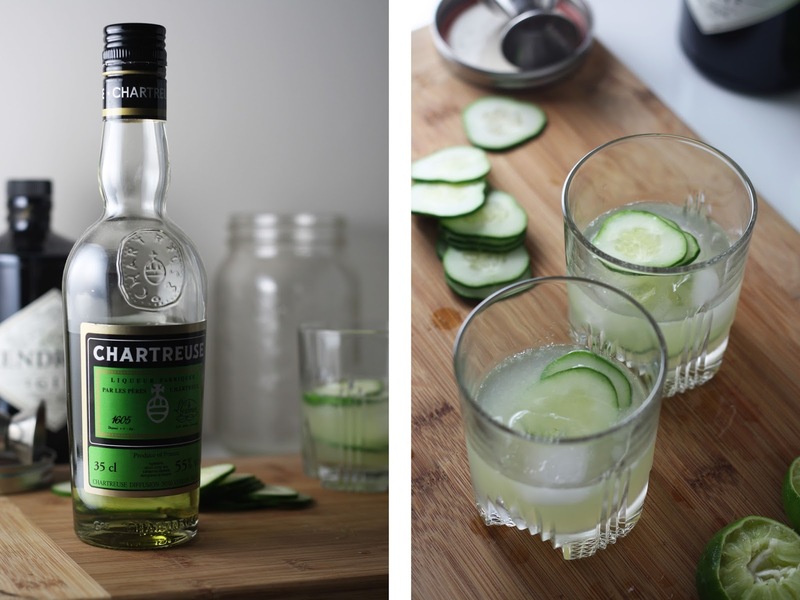 I urge you to go buy yourself a bottle of Chartreuse, and start experimenting with it. Note that there are 3 different varieties, green being the most common. An added note about the simple syrup. I'd recommend cooking up a full batch and storing it in the fridge in a glass jar -- you never know when you're going to want to spontaneously whip up a fancy cocktail! 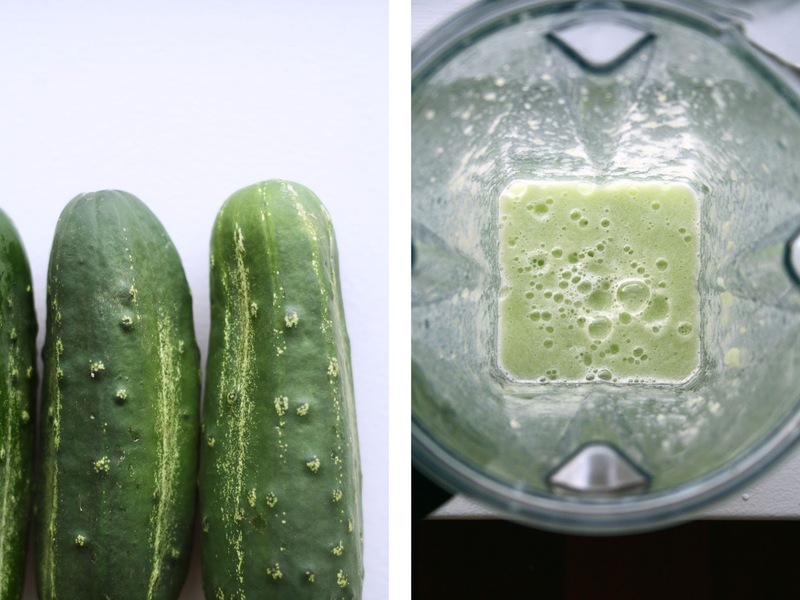 To make the cucumber juice -- peel and roughly chop your cucumber, then add it to a blender (preferably high speed). Blend until smooth. Be sure there is enough cucumber in the blender to get it whizzing. Set aside for 30 minutes to let the froth settle, then strain through a fine mesh sieve. For the cocktail, combine all the ingredients in a shaker. Add a handful of ice and shake vigorously. 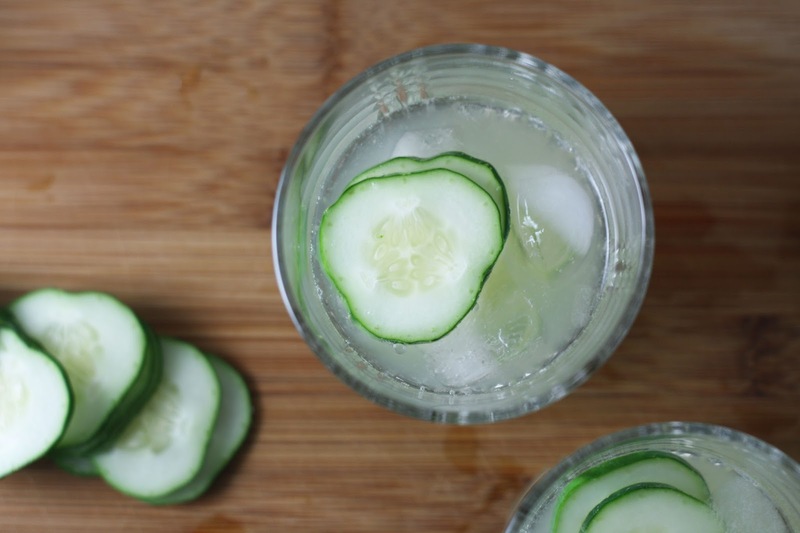 Serve immediately with a few extra slices of cucumber.